As I’ve noted on many occasions — as if it even has to be said! — flying is expensive. Ruinously expensive. And it’ll only get worse in the future — just ask anyone who started in the 60’s 70’s, or 80’s. They’ll regale you with stories about flying for a few paltry dollars per hour. Of course, they’ll also tell you that it seemed like an enormous amount of cash at the time. I’ve no doubt that the current generation of aviators will be spinning identical yarns to equally wide-eyed and disbelieving pilots in the decades to come. It’s certainly possible for an individual today to chop thousands of dollars off the cost of a rating or certificate through the shrewd use of a few simple tips (see my list). But even with the best planning and decision-making, flying will never be free. I’ve noticed an increasing number of aviation scholarships popping up in e-mails, newsletters, and web sites. You’d think that the prospect of flying for free would generate a stampede of applications for these generous programs. They’re worth thousands (sometimes tens of thousands) of dollars each! But it ain’t necessarily so. In fact, I’ve known more than one of these scholarships to go unclaimed for lack of applicants. So, in an effort to help get more of my fellow pilots on the road to the airport, I’d like to highlight a series of grants and scholarships that have come across my desk in recent weeks. Keep in mind that this list is by no means exhaustive. There are countless opportunities if you’re willing to dig deep enough, so ensure you’re following the newsletters and other publications put out by AOPA, EAA, IAC, local flight schools, regional pilot and airport associations, and anyone else you can think of. This one is offered by CP Aviation in Santa Paula, California in memory of Vicki Cruse, who was a top-level Unlimited aerobatic competitor and member of the U.S. National Aerobatic Team, National-level judge, president of the International Aerobatic Club, and Reno Air Race competitor. CP is providing an emergency maneuvering training scholarship valued at $3,100. 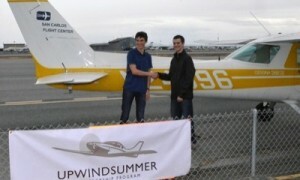 This scholarship aims to promote aviation safety through unusual attitude and aerobatic training. The scholarship includes three modules of the EMT course which includes stall/spin awareness, in-flight emergencies, and basic aerobatics. This year’s scholarship includes transportation and lodging of up to $2,000 due to a donation made in memory of Danny Franscioni. I knew Dan; he was a talented pilot, tough competitor, and generous friend. His family also makes some fantastic wines. The Franscioni donation brings the value of the scholarship to $5,100. All applications received by July 15 will be considered for this year’s award. Visit the IAC website for more information, or contact Judy Phelps at judy@cpaviation.com. Greg Koontz Aerobatics at Sky Country Lodge, Ashville, Alabama, will provide a full scholarship to promote aerobatic instruction. The scholarship consists of an eight-flight training program. All required ground school is included as well as four nights stay at Sky Country Lodge with its all-inclusive accommodations. The recipient would only be responsible for travel to and from the school. The program is not an initial aerobatic course. For that reason the scholarship is targeted at those certificated flight instructors who have some tangible experience in aerobatics and have demonstrated by their activities that they are interested in becoming involved in aerobatic instruction. To be eligible, one must have a current instructor certificate, be age 25 or younger, and have a demonstrated need for the financial support provided by this program. The purpose of this scholarship is to promote aviation safety through aerobatics training. The recipient will receive a cash payment of $2,000, in the form of a check made payable to the aerobatic school where the recipient will be training. Training must be conducted at a facility approved by the Chapter 78 Scholarship committee and training must be completed within a 12 month period from receiving the grant. A list of approved facilities can be provided to the successful applicant. The successful scholarship applicant must be well-rounded, involved in school and community activities as well as in aviation. The applicant’s academic record should demonstrate that they could successfully complete the educational portion of aerobatic training. Flight instructor comment reports or letters of recommendation must indicate that the successful applicant has the basic flying skills and potential to benefit from this type of training. Qualifications: Applicants are preferred to be a certified flight instructor (CFI) or be receiving flight instruction with the intention of becoming a CFI. However, this is not a mandatory requirement. The applicant can be attending College or other post-secondary school or have recently completed College. The successful applicant will have demonstrated that he or she has the basic flying skills and potential to benefit from and to pass on lessons learned from this type of training. The Ninety-Nines offer an annual series of scholarships for women. These range from initial pilot training all the way up to turbojet type ratings. The only hard-and-fast requirement is that the applicant be a member of the organization, something that’s quick and easy to do. NBAA’s scholarship program offers nearly $100,000 annually in cash awards as tuition reimbursement for enrolled students, and nearly the same amount in monetary and training awards for working professionals in business aviation, including pilots, maintenance professionals, schedulers, dispatchers, flight attendants and flight technicians. The Aircraft Owners’s and Pilots Association administers this program. ASA, Jeppesen, and the Richard J. Santori Memorial Scholarship each award $5,000 to a student pilot pursuing an FAA sport, recreational, or private pilot certificate. The recipients are chosen based on merit, including previous accomplishments, ability to set goals, and demonstrated commitment to flight training. The Experimental Aircraft Association offers dozens of scholarship programs, and while many of them are aimed at young people, there are also grants for professional pilots (I recommend the Clay Lacy Professional Pilot Scholarship, which provides up to $12,500 of support per year per award) and other adults. 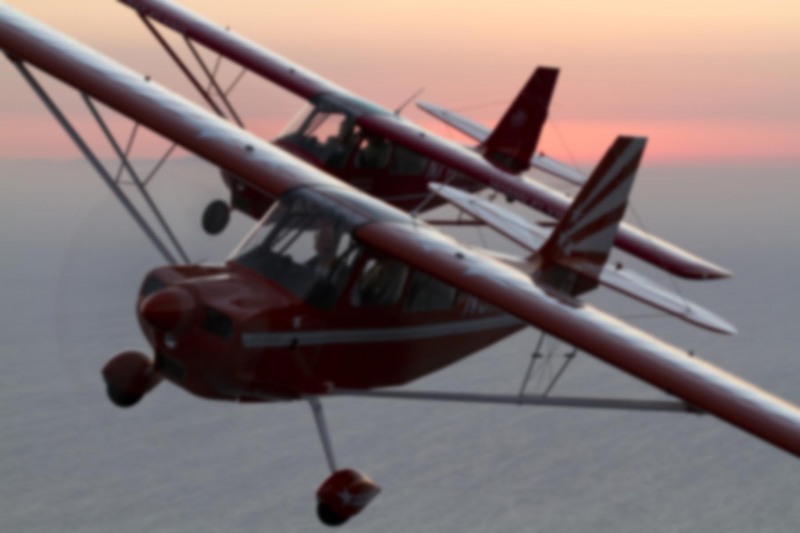 The San Carlos Flight Center in Northern California offers this regional program to allow high school students to earn their pilot certificates over the summer. An east coast version of the previously mentioned Upwind Scholarship, ACONE offers nine scholarships totaling more than $25,000 annually for pilot training. These are regional awards limited to those who live in the New England area. I’ve saved what I consider to be one of the best scholarship programs for last. SCAA is not a name I was familiar with until recently. The organization started off in San Diego County and has recently expanded to include the greater SoCal area. SCAA is growing rapidly and I’ve been impressed by the size and scope of their offerings, which include Citation CJ type-ratings at both Simuflite and ProFlight. They’ve also provided a series of general flight training awards and offer scholarships for aviation mechanics. As I said at the top, this is not a complete list. There are hundreds of scholarships, grants, and awards available for pilot training. Imagine what you could dig up if you really put your (proverbial) back into it! If you’re a member of the “flying poor” (or aspire to join that august club), you might have more time than money. Searching out and applying for these scholarships can make all the difference in the world for both you and an aviation community that needs fresh faces if it has any hope of thriving in the future. And if you’re a veteran who’s already got his or her ratings, or simply doesn’t need the money, they’re equally valuable because we want to ensure the next generation of pilots is as large, well-trained, and successful as we have been. Thanks for the info. I teach Private Pilot Ground School at the local JC. Students are of different ages (16-60+) and at different stages of their flight training or are thinking of starting training. I’ll alert them to these websites as cost is always a factor. I’ve spent hundreds of hours on simulated flight flying everything from Cessina Skyhawk to a 747. What I need is a scholarship that will actually get me in flight training for startup pilots. There are scholarships like that out there! Here’s just one example: http://www.icasfoundation.org/scholarship-hilliard It won’t cover the entire cost of the pilot certificate, but $2,000 is certainly nothing to sneeze at. Happy hunting! Thanks for the shout-out about your site. I consider myself fairly knowledgable about things related to aviation, but even I had no idea there were so many resources available! Great article Ron! I was at a local EAA meeting last night and the local university (OSU) was there begging for help getting new pilots into the fold. There are looking at getting aggressive with scholarships and other incentives to prime the pump. They have a great flight program, but it’s not cheap. If they can bridge the gap with offerings like you describe here – game on! The university-based flying programs do tend to be on the expensive side, don’t they? I’ve flown with a variety of ERAU grads and it’s surprising how much debt they come out of school with! Substantial six figure loans seem quite commonplace. It sounds like OSU is aware of this trend and is serious about making sure cost isn’t the barrier it used to be. Good for them! Thank you for posting a useful and informative list of scholarships! Unfortunately, it looks like I personally wouldn’t qualify for any of these. I already have a 4 year degree and would be interested in career switching from IT. Are you aware of any scholarships that can be applied for to help those of us working toward aviation from something else? Hi John — I don’t know of any off the top of my head, but I’d bet there are programs like that out there! The trick is finding them, of course. I’d suggest starting with a Google search. Check out http://www.FlightScholarship.info. Then I’d get in touch with your local flight schools, your local EAA chapter, AOPA member services, and any university, college, or JC aviation programs in your neck of the woods. Some of the programs seem to be geared toward people in a specific geographic area, that’s why I recommend scouring sources in your community. Even if they don’t have such a program, they might know of someone who does! Hoping to pick up more leads…..also hoping against hope that these scholarships are open also to citizens of the Philippines. I see this has a great venture and opportunity but from all indications, its gear towards only USA residents, Citizens and people in certain location in the USA. Can anyone living in Africa with the Ambition and desire be enrolled? Each scholarship has its own requirements and criteria. Some of them may be available to people outside the U.S. The only way to know is to dig in and find out! This is a dream opportunity for me. I’m enrolled at EKU ( Eastern Kentucky University) for the fall. I plan on majoring in Professional Flight Management. I already have over 30 hours, sadly I will not be able to get my PPL before college starts. I do plan on enquiring a large amount of debt, but my strong desire for my future goals and for aviation keeps me flying! Thanks for this helpful information, and I hope for the best! Sounds like you’ve got an early start! With 30 hours you’re probably halfway or more to your certificate. Won’t be long before you’re flying solo! Although local in nature some colleges offer scholarships to their own students, Community College of Beaver County is one example. in aviation school next year. Probably at Monarch Sky in Henderson Nevada. He wants to do aeronautical engineering & has his sights et on Embry Riddel in Florida. As a parent I want to see him succeed but of course money is always an issue. Do you know of any scholarships in Las Vegas we could apply for? I will probably try to get my license too but again $8-10K is a hefty sum to think of outlaying to complete an item on my bucket list! Not only that, once you get your license, to rent a plane is no walk in the park either let alone dreaming of owning & maintaining your very own aircraft. Until recently, I had a client who was ex-airline & he had his own plane. I would trade him landscape services for airtime. He recently sold the plane so my next best idea to stay involved is to set up a sim at home. My son and I are both studying flight books etc soby next year we are ahead of the curve and familiar with terminology and most of the basics. It sounds like you and your son have the fortitude and persistence to reach your goal! There might be a school in Henderson or Boulder that would trade flight time for help working on their aircraft or in the office. You might also see if he can work at an FBO when he’s old enough. It’s a great way to meet people — networking is so important in aviation. That’s where you’ll find out about all the local opportunities. Plenty of older aviators would be proud to see someone like your son so gung-ho about learning to fly! I’d join the local EAA chapter, look at Civil Air Patrol, and basically pursue all avenues. A reader who’s involved with CAP wrote that through that organization cadets can learn to fly for $35/hour plus fuel. If you go through a traditional flight school, see about learning in a cheap airplane like a Citabria or Light Sport aircraft. Your money will go much further. Thank you for the valuable information. I have been looking at various options that are available for flight training financing/scholarships. Therefore it comes as a surprise when we hear sponsors complain about uncollected scholarships. Perhaps fatigue may have had a hand as many attempts to secure scholarship opportunities yield nothing and folks just give up. While we are told of an impending shortage of aviators, the labor statistics depict aviation is not as lucrative as before. Quite frankly the information that you’ve presented here has been more informative than a visit to the local flight schools. My belief is nothing comes easy hence the reason why thrill of flying comes as no surprise. My passion remains aviation in the meantime onward and upward until the objective is met. I think you hit the nail on the head, Michael! It’s rarely quick or easy doing the necessary research to find a “matching” scholarship, filling out the paperwork, and so on. “Nothing comes easy” is a good thing to remember when it comes to flying. But talk to anyone who’s made the journey and they’ll tell you: it’s so worth it! I have found that most scholarships require you attend a certain school , become a member or be a certain age, such a 18-25 yrs old. When I first began my flight training I applied for many scholarships, and there was always a reason why I did not qualify. So there is no surprise that many go unclaimed Even AOPA had a reason. It was because I was training for my helicopter PPL Now that I am in training for my PPL airplane its because I am a PPL helicopter pilot so again I do not qualify for a scholarship . So after many dollars spent and obtaining training little by little I continue to limp along to complete my training and I have given up any hope of a scholarship. Many other pilots that I have spoken to have had the same results and many have given up hope of becoming a pilot. As for dedication to flight training. Try traveling 6 hrs a day, three times a week to train for a PPL for helicopter, and then travel 6 hrs a day three times a week to obtain a add on rating for PPL Airplane, all while maintaining a 3.85-4.0 GPA and attending college full time 12 hrs a semester plus the flight training and ground school. How much more dedication does a person need So yes I understand very well why many scholarships are not even applied for Future pilots have given up hope of any assistance and yes it is expensive! While I understand the frustration, it seems to me that most if these scholarship programs probably do t find recipients or they wouldn’t be around for very long. People go to great lengths to scratch the flying itch. I know a guy who flies from Japan to L.A. to fly aerobatics, then travels all the way back across the Pacific again! He’s been doing it for a decade. i would like to know if there are application for any of this scholarships for international students. John, I’d suggest starting with Liberty’s A&P program, the school’s financial aid office, etc. They should be able to point you toward some scholarships. I doubt you’d be the first person to ask about them! Scholarships aside, if you’re going to fly a couple of hours every 2-3 weeks for “maintenance” purposes, you might want to consider accelerating your training and getting the checkride done. This might sound counterintuitive, but it makes sense. In the long run, you’ll actually SAVE money. Why fork out the money for an hour of dual every week just to tread water? Put those resources toward finishing your license, and then you can take a break until your wife finds a new job. Even if you don’t fly for six months, no big deal, because once you have the pilot certificate, you’ll never “lose” it. But stopping now can cost you a huge amount of money in the future to get back to where you were. Thanks for the reminder regarding flight training scholarships. I plan to apply to 2 different scholarships this year. If I am awarded, I plan to use them toward an intensive course that will enable me to (finally) finish my private pilot certification. I would love to take advantage of some of the grant/scholarship funds. I have the time and inclination. But, I am an old retired guy. Are their any grants which don’t have a maximum age? I want to get an instrument rating (have commercial and multi). Also, wish to pursue the NBAA management certification. Any suggestions. Yes, I’ve seen many scholarships with no age specified. However, there are often geographic or other considerations. That’s not to say there’s not a program out there that would work for you! I just can’t name one off the top of my head. I’m not sure which scholarship you’re referring to — I mention quite a few in the post — but the best way to find out is to just get in contact with the organization behind the scholarship. Many of them have geographic or other restrictions, but that doesn’t mean you can’t find something that works. You just might have to dig a little harder. The upside to putting in all that effort is that even you’re not qualified for one program, the people who run it might have great suggestions about where to find what you’re looking for. Best of luck! My brother want to become private pilot. He recently awarded with scolarship by Charter college Aviation.